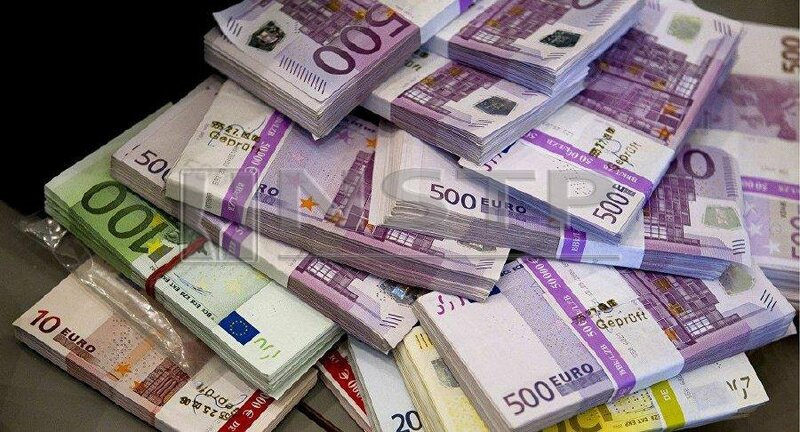 LONDON: The euro held at a two-week low on Friday as traders nursed losses in a week of bad data that indicated an economic slowdown in Europe was spreading as trade tensions between United States and China remain high. The single currency is on course for its biggest weekly loss in more than four months after data that has also pushed down euro zone government bond yields, with benchmark German debt trading at its lowest level in more than two years. But some traders said large buy orders from central banks at around $1.13 levels were nevertheless keeping the euro supported. One analyst pointed to the presence of large currency options amounting to nearly $1 billion around $1.1280 expiring later in the day as another possible prop. "We are all scratching our heads on who the mystery buyer is on euro/dollar," said Kenneth Broux, a currency strategist at Societe Generale in London. The euro had bounced off a low of $1.1323 on Thursday before ending the day at $1.1338 and was stuck to those levels on Friday. The European Commission made sharp cuts to its growth and inflation forecasts on Thursday, while downside surprises to German and Spanish industrial orders fuelled worries about an accelerating slowdown. Philip Wee, currency strategist at DBS, thinks it is likely the euro will depreciate below $1.10 this year given Europe's weaker growth and inflation outlook compared that of the United States. The dollar failed to make the most of the euro's weakness, however, with the greenback a shade higher against its major rivals as trade tensions remained dominant. Anxieties about the global economy were also compounded by comments from U.S. President Donald Trump, who said he did not plan to meet with Chinese President Xi Jinping before a March 1 deadline to achieve a trade deal. That helped the perceived safe-haven currencies such as the Japanese yen and the Swiss Franc remain firm against the dollar. Sterling was marginally lower at $1.2941. Traders expect the British pound to remain volatile in the near term due to the uncertainty surrounding Brexit.